For lovers of classic 3D platforming, indie publisher Blue Sunset Games and indie studio Funware are releasing Tiny Hands Adventure on Switch and Steam. 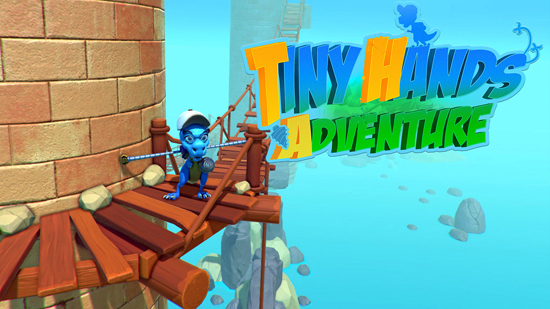 Tiny Hands Adventure is an old-school 3D platformer starred by a cute blue T-Rex named Borti. The game is inspired by classics such as Crash Bandicoot, Spyro and Ratchet and Clank. Lead Borti in his quest to find larger arms throughout 20 levels packed with obstacles, enemies and huge bosses. “Tiny Hands Adventure is the platform game every Switch and Steam user was waiting for”, says Jakub Kaleta, CEO at Funware. “Playing with Borti will bring back the scent of true platforming and item collection”. Tiny Hands Adventure is set in Dinoburg, the town where Borti plays football with his school team. Lead this sweet dinosaur in his first adventure and try to complete the game 100%. A new star is born! Collect different tools for Borti and use them in game! From sticks, through compact drills to mechanical arms. Slide, roll or jump your way to victory. Visit over 20 stages in game. Try yourself in challenging mode after completing a stage and finding all collectables. The game costs $16.99 on both platforms but gamers who acquire it in the following 7 days will have to pay $12.75 only.